What can I expect at a Legacy auction? Whether you’re planning on participating in an upcoming Legacy auction or simply interested in what the market looks like for a property or how the process works, there are some important points to understand before the auction gets underway. 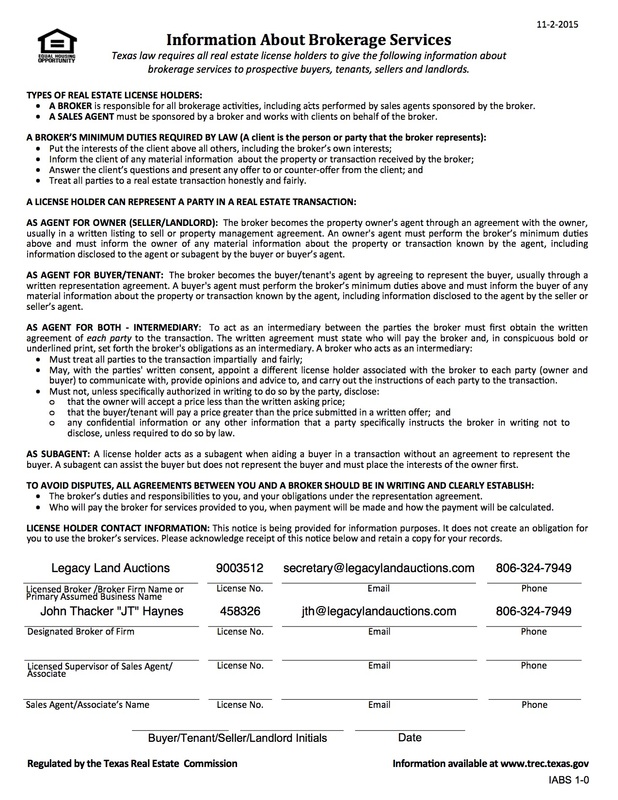 First and foremost, the job of the entire team at Legacy Land Auctions is to get the highest possible contract price for our sellers while conducting a smooth event with transparency for all bidders. From the moment our auctioneer takes the microphone and begins his chant, our focus is to make sure we don’t leave a bid on the seats. But this process won’t unfold like a typical cattle or equipment auction. We don’t rush through a bidding sequence and drop the gavel. When a “multi-par” auction begins, each tract will be offered individually to establish a base price for each parcel. This will be the fastest round of bidding. As individual tracts are auctioned, you will notice that the auctioneer does not announce any tract as “SOLD” but instead closes the bidding by saying “POST IT.” This keeps bidding open as we move into the next round. After the individual tracts have been auctioned in round one, the second round of bidding begins, offering bidders the opportunity to bid on any combination of tracts. We will not put combinations together or dictate how combinations are offered. As a bidder, you call the shots, and you only bid on the parcels you want to bid on. As bid increases and new combinations are submitted, a real-time leader board displays bid history and high bids for each tract and combination. The process allows individual tract bidders to break apart a combination, or a high bid on one combination of tracts can be outbid by an entirely different combination, and so on. Any posted bid is considered active for the duration of the auction and can be back in the winning position at any time. So, once you’ve placed a bid, it is critical that you not leave the auction until the gavel drops and auctioneer says “SOLD!” The tracts will be sold when no more advance bids are offered. While the process can sometimes seem slow and bidders eager to come out on top can get impatient for our auctioneer to close an auction, we ask that you keep in mind our first priority - getting the maximum contract price for our sellers. If you were the seller in an auction, you would want to know that your auctioneer didn’t leave a penny on the seats. And we strive to ensure that every bidder in the room has the opportunity to bid on what they wanted, at the price they’re prepared to spend. From time to time, we will have phone bidders or proxy bidders in the room, as well – all of which lead to a slower, more methodical pace than a traditional auction. If you have questions about our process or any of the properties available, please don’t hesitate to call our office at 806-324-7949.